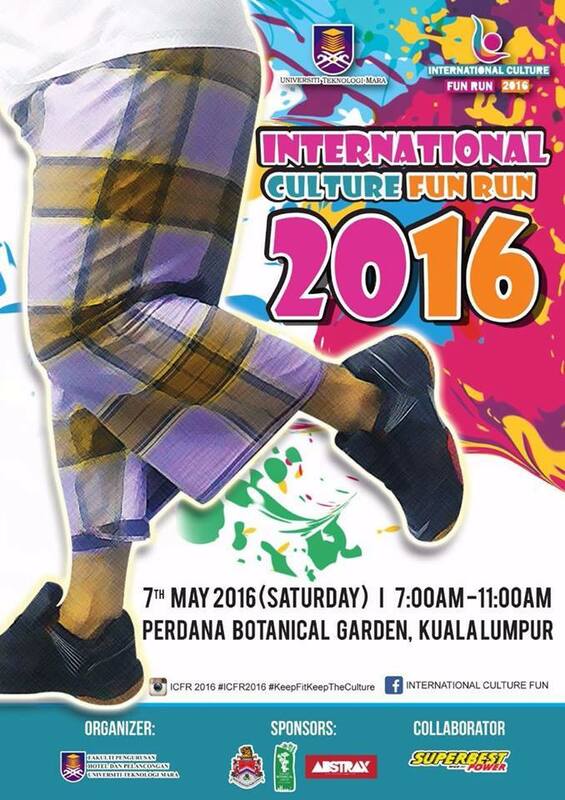 International Culture Fun Run 2016 | JustRunLah! "International Culture Fun Run" is a program to strengthen the concept of culture while practicing a healthy lifestyle. Through this event, participants are required to run along the way while demonstrate their traditional clothing. The run also will be punctuated with cultural dances. This program is expected to create and expressed the healthy lifestyle among individuals and able to attract people attention to the uniqueness of culture in Malaysia.